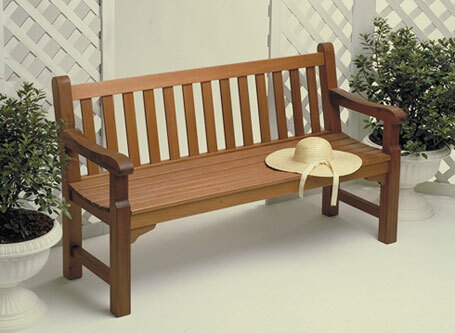 The classic design of this English bench makes it a beautiful piece to accent your garden or deck. And this bench is as strong as it is attractive. 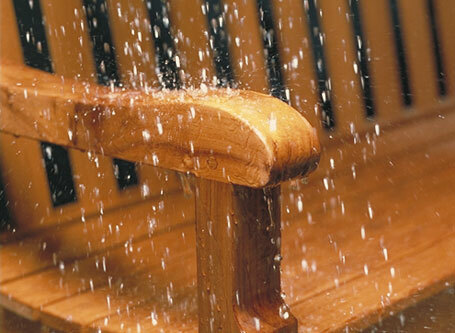 Any project that sits outdoors has to withstand the elements. This bench is built from redwood, which resists decay. Instead of the usual yellow glue, a plastic resin glue was used to weather as well as (and maybe even better than) the redwood. Rust-proof brass screws fasten down the seat slats and a few other pieces. The finish used on the bench is a shop-mixed combination of spar varnish and a tung oil sealer. 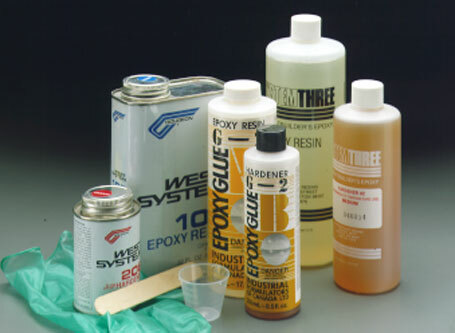 This combination offers the penetrating protection of an oil and the slight sheen provided by a varnish. 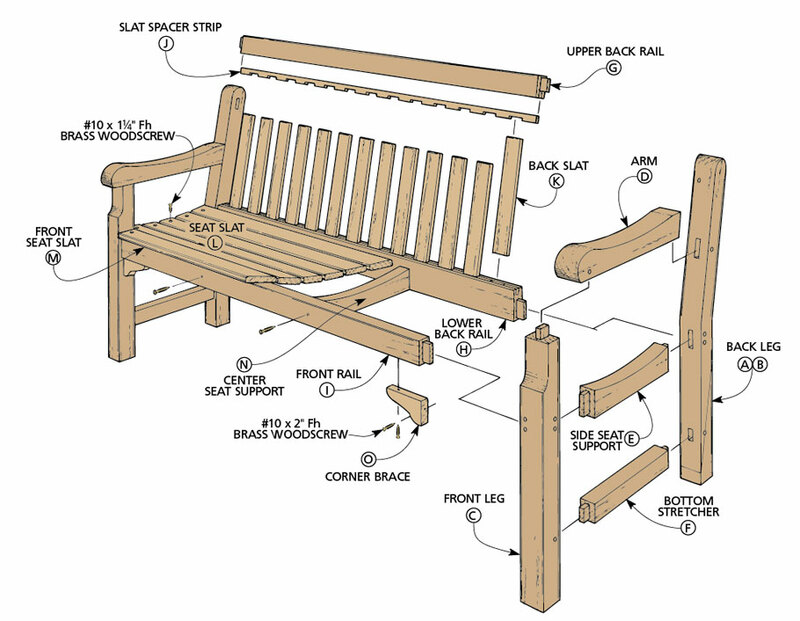 And, with just a few modifications to the bench, you can build a matching Redwood Armchair and put together a set of furniture for your garden. 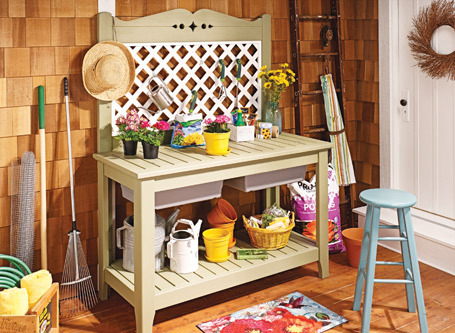 Transform common cedar boards and a few pieces of hardware into this great-looking, hardworking bench for your yard and garden. 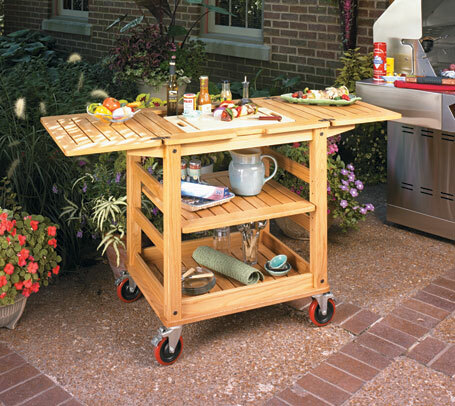 This easy-to-build cart features fold-out leaves, a recessed tray, and customized inserts. Perfect for your next cookout! 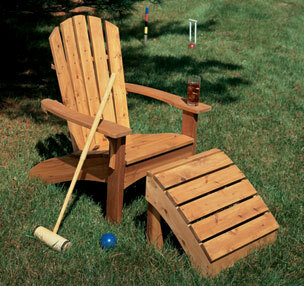 A contoured back and seat make this Adirondack chair a more comfortable version of the summertime classic.